House Speaker Paul Ryan touted the economy under the Republican Congress -- but also denounced the new tariffs imposed by the Trump administration. 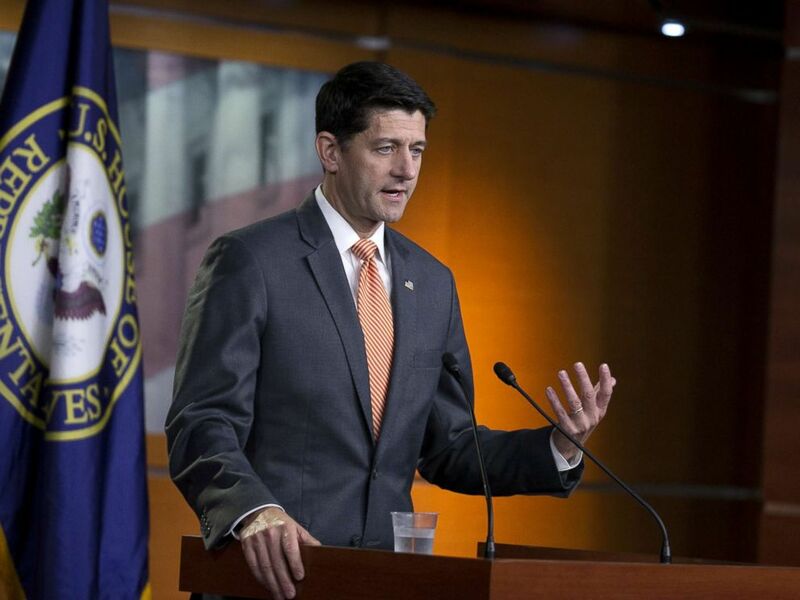 Add Paul Ryan as an interest to stay up to date on the latest Paul Ryan news, video, and analysis from ABC News. "After years of stagnation, our economy is finally on the rise," Ryan told the Economic Club of Washington, D.C., Thursday. Ryan pointed to tax reform as the key engine driving the economy. "By just about any economic measure, the American people are better off now," he said. But Ryan warned against the tariffs President Trump has pushed, such as threatening to tax up to $550 billion on Chinese goods. "I've made my view clear: New tariffs are not the solution," said Ryan. "We have to continue to pursue new agreements while we strengthen our existing ones." House Speaker Paul Ryan speaks with reporters during his weekly press conference at the Capitol, July 12, 2018, in Washington. Ryan said Friday that getting "the right policy in place" by engaging with the administration is "the most effective course of action." Beyond tariffs, Rep. Don Beyer, D-Va., said Republicans had ruined the economy for working-class Americans. “The Trump Administration and the GOP Congress have one major legislative accomplishment: gutting Medicare and Social Security to slash taxes for CEOs and the wealthy," Rep. Don Beyer, D-Va., a member of the Joint Economic Committee, told ABC News in a written statement. "Because of their policies, wages are stagnant and health care costs are soaring. 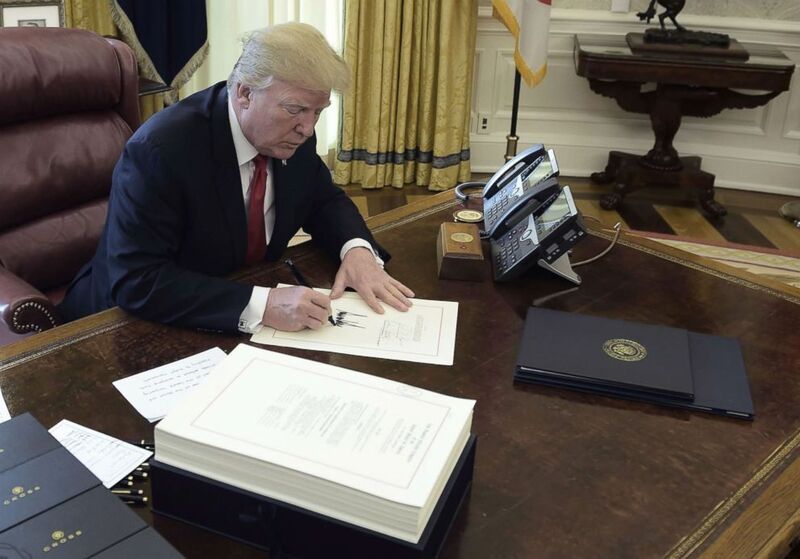 President Donald Trump signs a document during an event to sign the Tax Cut and Reform Bill in the Oval Office at The White House in Washington, D.C., Dec. 22, 2017. In his speech, titled #BetterOffNow, Ryan acknowledged that the economy is not working for all Americans. In terms of workforce development, he pointed out that the U.S. education system is "still not properly equipped to help people adjust to this changing economy," which is in need of skilled workers. "We need to make two-year school cool again," he said. Ryan also cited so-called social impact bonds -- a private-public partnership with the goal of creating social programs for underserved areas -- as a way to reconnect "distressed communities to the greater growing economy."